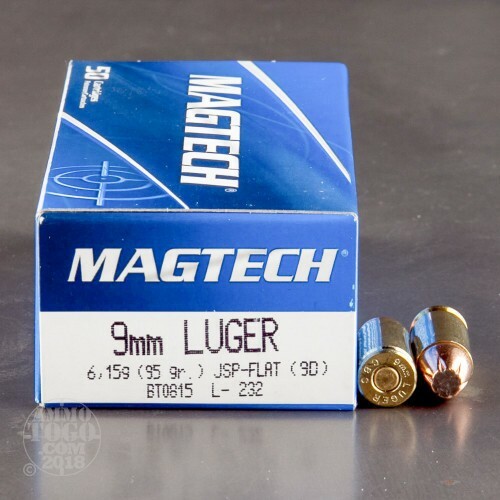 These 9mm rounds from Magtech are 95 grain Jacketed Soft Points. Magtech uses boxer primed new brass cases that are re-loadable. JSPs provide deeper penetration and less expansion than hollow points or jacketed hollow points. 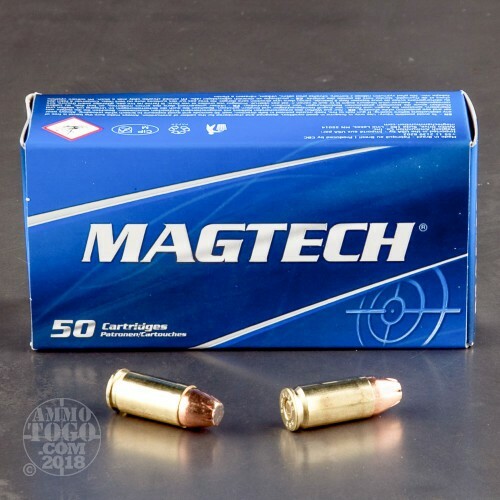 These are good rounds for range training as well as small game hunting. 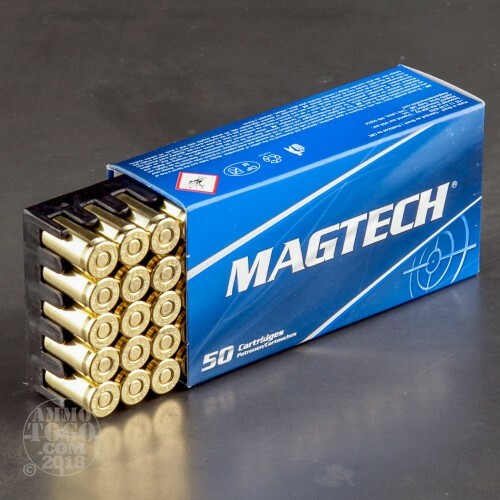 Mactech is part of CBC Group, who owns several major ammo manufactures like Sellier&Bellot, MEN and others. Looking at this ammo, I am guessing it to be a 85 grain 380 HP bullet, with the nose filled in with 10 grains of lead. I would call it a 380 magnum and it comes screaming out. Shot 200 rounds out of a Taurus 92fs and a Firestar. No FTF or any type of malfunction. Left a good size fireball on the way out, and it has some umph behind it. 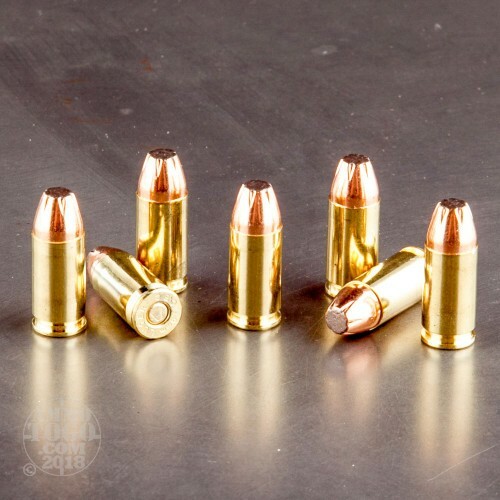 The recoil felt less than a regular 115 grain and shots hit just lower than a 115 grain. This load seems to be identical to one that Winchester used to offer. It is extremely accurate. It is fun to shoot. Manufacturer claims 1350 fps mv. I would consider a 95gr. JSP too light for defense, but I find that it tears up what it hits!